It’s late August and that means it’s time to return to the wurst round of the WRC calendar for the season’s first proper tarmac rally (we all know Monte is really a snow rally with random bouts of tarmac). That means it’s time for high speeds, hinkelsteins, and the last round of Fantasy WRC before we start dropping worst scores. And much like with bad dubstep*, the fantasy series has managed to get most interesting just before the drop. After months of 2014 champ Lumpy44 monopolizing the top spot, he fell to Marric when he missed making picks for Italy. Marric, however, wasn’t able to rest easy as he had Timmybings breathing down his neck. Finland proved to be just what Timmybings needed, and he is now the new points leader. But the top 4 now all reside within 25 points of the lead, so this is a battle that is by no means decided. Germany has proven to be one of the least predictable events in the championship. Despite being the home event of Volkswagen, the dub club is winless here, the only stop on the calendar where they have yet to taste victory. 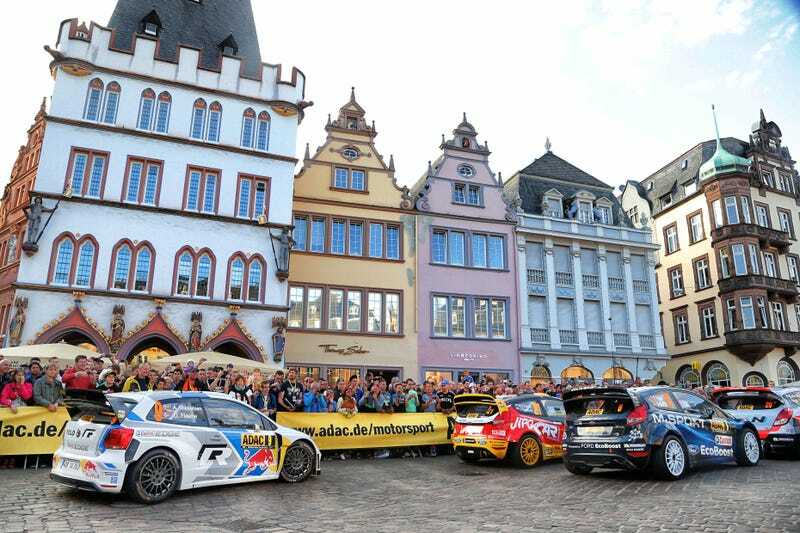 Ogier and Latvala have managed to crash here both in 2013 and 2014, and in both those years the event produced first time winners in Dani Sordo and Thiery Neuville, with both drivers having to fight until the last stage to earn it. Last year’s event not only saw a new winner, but every driver who lead the rally crashed at some point over the weekend, with Ogier, Latvala, and Meeke all crashing out from the lead, and Neuville crashing hard on shakedown. In other words, good luck making picks for this one (especially since the last two winners are now teammates and occupied the top two spots the last two years). And now, game time! Here’s the official Entry List, and the always useful points spreadsheet is here, just waiting for your analytical eyes pretending to look at something important while your boss walks behind you. And while you’re at it, you can also look at the driver’s data and statistics. If you’re new to our game, welcome! You can check the rules and awesome prizes here.